11/20/2018 I admire the philosophy behind having one avatar generator rather than separate avatars for "men" and "women".. but I would still like to be able to make a femme avatar. 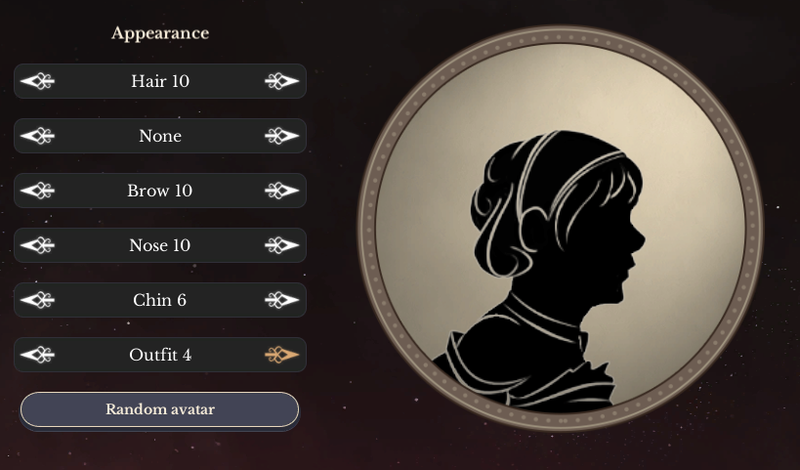 Starting my new character for the update, I compared it to the avatars for Fallen London. Look at her neck! This is the smallest available chin and it still doesn't look right to me because it's attached to her huge wide jaw and neck. 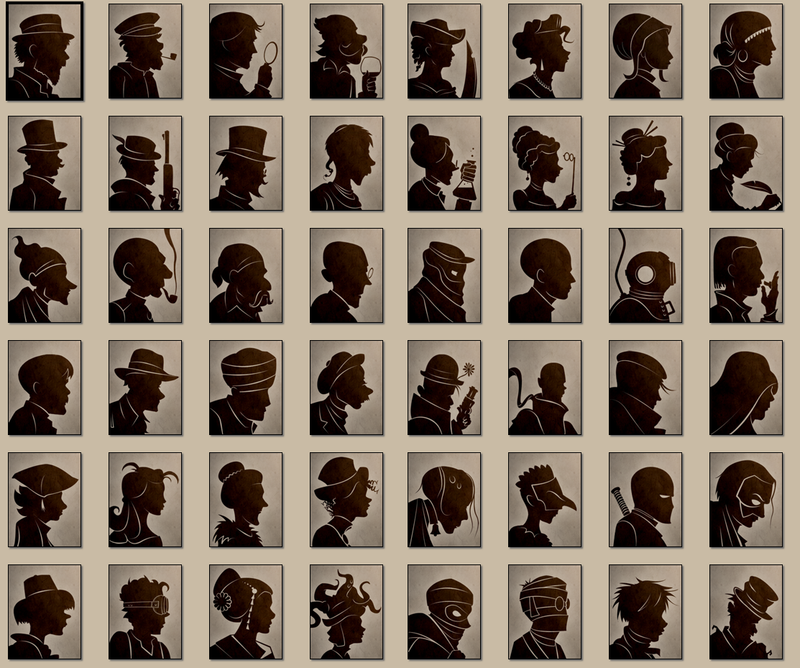 On the Fallen London avatars most of the more-masculine faces have smaller necks than that. Anyway, that's one of my major requests for the final game: smaller necks. 11/25/2018 Fourthed, I don't want to underestimate how much work it would take, I would say it should be easy, being that it's just silhouettes, but having the new necks look right with all the pre-existing chins may take a little bit. It's not a small task but it would look amazing! 11/27/2018 Even though they look more realistic with thicker necks (and I don't even play SSkies) I sixth this just because it isn't SUPPOSED to be realistic necessarily and they would make more sense visually with smaller necks. How else would we breathe in space? 1/23/2019 Plus no option to wear your hair down. Combined with the chins, I failed to make a character as feminine as I wanted. Delicate flowers want to go to space too! Getting an Avatar that looked even vaguely feminine was... difficult. All for inclusivity, not great if Butch is the only Orange Fruit.